Yes Sony fans, the days where Sony Vaio laptops were un-affordable are long gone! 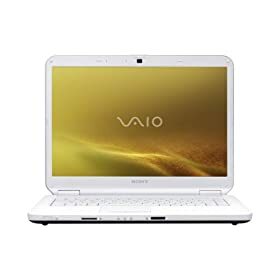 Now you can get yourself in-line by pre-ordering the brand new Sony VAIO VGN-NS110E/W laptop for $650 with free shipping. This is a 15.4-Inch Laptop, powered by the 2.0 GHz Intel Pentium Dual-Core T3200 processor. It has 2GB of RAM, along with a 160 GB Hard Drive, Vista Premium and all the features you would expect from a laptop in this price range.